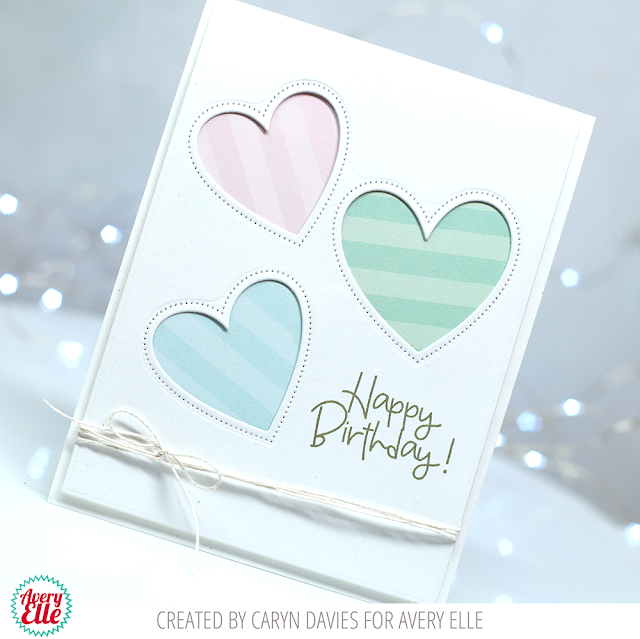 Hey there, Caryn here sharing a clean and simple card featuring the gorgeous new Three Hearts Die. This die, like the previously released Three Stars die has so many uses and not just for Valentines day either. 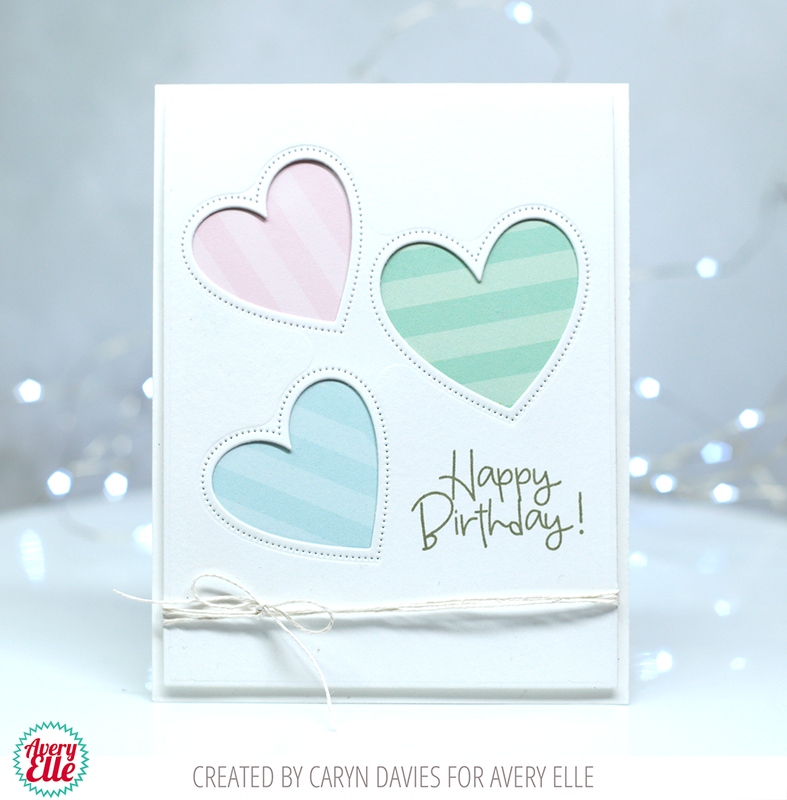 I selected three of the striped papers from the Sorbet Collection paper pack and used a great sentiment (LOVE the font) from the new Some Bunny stamp set. I die cut a white panel using the three hearts die and adhered the different patterned papers behind each aperture ensuring the stripes are angled in different directions. I stamped the sentiment in Fog Dye ink and finished off by wrapping some white twine around the panel and popping it using foam tape onto a white card base.